Hope you all had a great weekend!! !Today am posting the recipe of Mambazha pullissery. 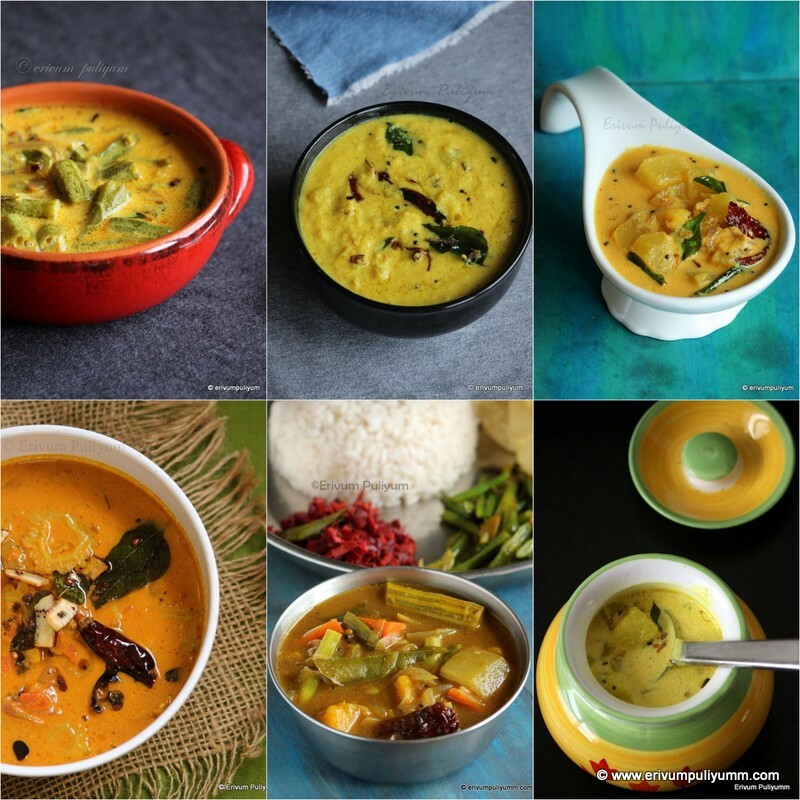 'Mambazham' in malayalam means ripe mangoes and 'pullissery' means a curry using yogurt or butter milk.So,the recipe to the cooked ripe mangoes in yogurt and coconut paste. Mambazha pullissery is an old traditional dish of Kerala.Those days of my childhood, we owned lots of mango trees in my native place in Kerala and summers is the time for these mangoes to ripen and my grand mother used to prepare this recipe for us.Now adays ,there are very less mango trees in Kerala and people tend to buy mangoes from super markets to prepare this spicy, tangy combination.This is a very quick n simple recipe. 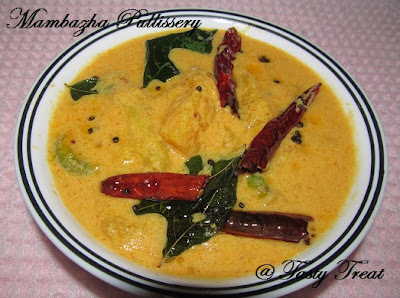 Even though I had a fair idea of this recipe,still I referred pachakam.com for the details and followed the same steps as given in the link.This recipe goes well with steamed rice and a very loved curry by all at my home. So,enjoy the Mambazha pullissery recipe !! -Wash,peel and cut the mango into slices ( if the mangoes are small,then you can peel the skin and leave it whole).Boil it in quarter cup water ,green chillies,salt and red chilly powder.Let the mango slices become tender and cooked ,takes about 5 mins. -In the meantime,grind the coconut with cumin seeds to a fine paste. -Add this to the boiling mix and bring to a boil.Simmer the heat and add the yogurt.Turn off the heat. -In another pan,heat the oil.Splutter mustard seeds,add in dry red chillies,curry leaves.Turn off heat and add this to the curry.Sprinkle the fenugreek powder on top and close the lid for 5 mins for the flavors to blend. -Serve warm with steamed rice. -Add the yogurt only once the flame is low or off else it will curdle. 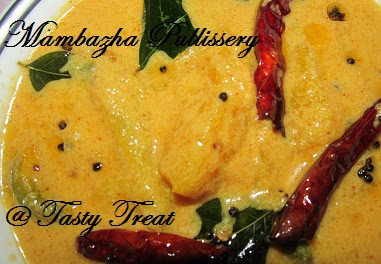 mambhazha puliseri is my hubby's fav- this looks well done ! Looks and sounds nice, anything cooked in a yogurt base is bond to be great. Will try it out pretty soon. 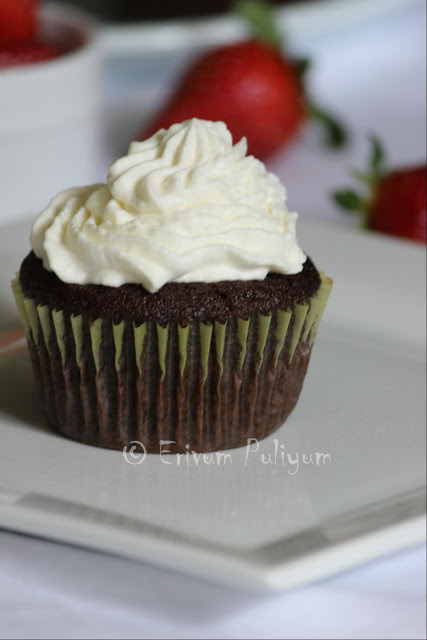 Even your vanilla cupcakes in the below post look a nice thing to try out. Love the color and the delicious dish. 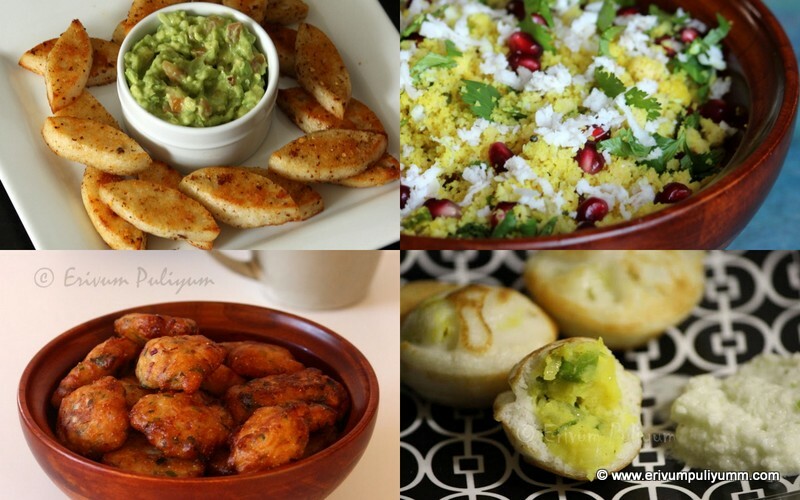 Thanx ladies for your valued responses on my post..
wow very delicious n ur clicks r awesome, Excellent preparation.